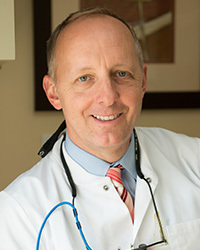 Originally from Sandusky, Ohio Dr. Schmitt graduated from Ohio State University and the University of Kentucky Dental School. He then entered the U.S. Army where he served in Vietnam. 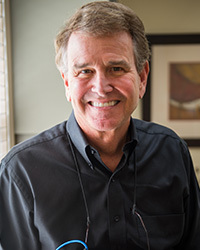 Dr. Schmitt has been practicing in Maitland since 1970 where he raised two children both of whom followed him into Dentistry. When not at work you’ll probably find him working to turn his backyard into a tropical paradise. 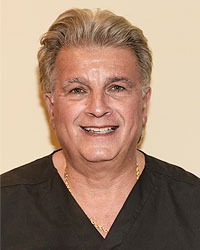 A Florida native, Dr. Midkiff attended F.S.U. and Northwestern University Dental School. He also entered the U.S. Army after school and served at the U.S. Military Academy at West Point. From there he returned to Chicago to complete an Oncology Fellowship before coming home in 1995. He and his wife moved to Orlando in 1997 and are busy raising their daughter and restoring their 1925 home. 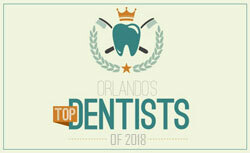 Originally from New York, Dr. Bilancione has been practicing dentistry in Orlando for 30 years. He joined our practice in January 2016. Dr. B is married to Deborah, who also works in the office at the front desk. They have two grown children and one granddaughter. Dr. Bilancione is passionate about his photography and the results adorn the office walls. 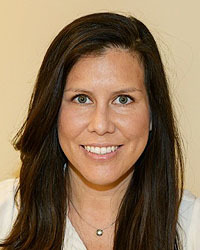 Originally from Peru, Dr Grady attended University of Florida for her undergraduate degree and then Tufts University School of Dental Medicine in Boston. Dr. Grady comes to us after practicing in Palm Beach Gardens from 2010-2014, Currently a Maitland resident, you may have seen her with her family biking on weekends.